There was a hush among the leftists following Mister Muslim’s statement. Leaving aside the Indian Maoists and the African national socialist party (APSP), we can safely say that the entire global left-wing, being liberal or radical, has been vigorously propagating and encouraging the Kurdish struggle for the defense of the city of Kobane in Syria, as well as in northern Iraq, where the Islamists have succeed in making an armed breakthrough into the territory under the Kurdish control. The “civilized” and “progressive” Kurds as opposed to the “primitive” and “fanatical” barbarians, higher degree of women emancipation as opposed to patriarchal “oppressors” etc. These are some of the images which propagandize the Kurdish “cause”(the opposite of what they are doing to the Islamic one). The fact that this narrative was installed mostly by the liberals and leftists of the developed nations and was indisputably accepted by most of the left on the periphery and the semi-periphery, further stresses out the newly-acquired habit of evading class analyses, anti-imperialism and poor understanding of the “evil” nature of the supremacist ideology of “the empire”, so the lack of theoretical framework needed for analyzing and understanding the complexity of the current situation in the Middle East (as well in the other epicenters of the world) doesn’t come as a surprise. Had the leftists by any chance observed the events concerning the relationship between the Kurdish political representatives and the imperialists over the last fifteen years, and not only after the erupting headlines in the corporate media, Salih’s speech wouldn’t have surprised anyone. In the absence of real information from the media regarding the background of this relationship, we are going to put an effort to bring about some of the less known details regarding this. As well as offer an analysis of the situation from the Marxist point of view. PKK is not a Marxist organization. PKK was formed in the year 1978. Under the name Worker’s Party of Kurdistan, by the Kurdish students under the leadership of Abdullah Öcalan. 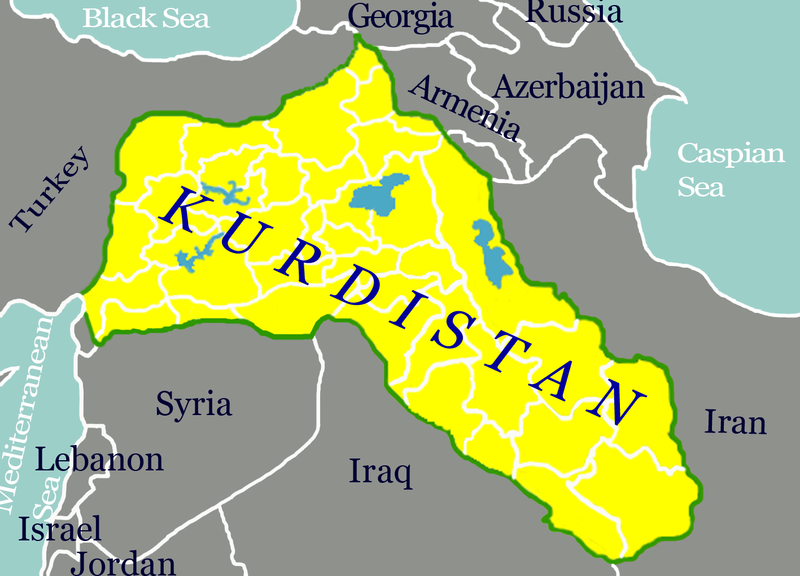 The primary and completely legitimate goal of this organization was to create an independent state of Kurdistan; made up of territories belonging to Turkey, Iraq, Iran and Syria, where the Kurds made most of the population. 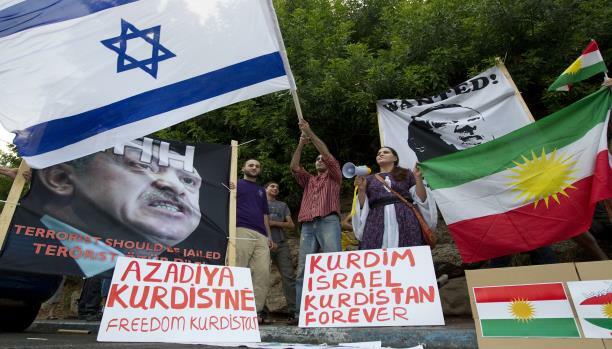 Also, it is estimated that in Turkey, the Kurds make up around 20% of the population. Marxism-Leninism was the official ideology the Organization. From the year 1983, the Organization has been employing the method of armed struggle, creating paramilitary formations which have been operating mostly on the Turkish territory. By the end of the 1980-s, the PKK had gained a massive support from the Kurdish population and had gained first military accomplishments by succeeding in taking over and administrating some parts of the Turkish territory near the border with Iraq and Syria , which they have been winning and losing periodically. One of the combat methods they were employing were the suicide bombing attacks with which Turkey was then confronted for the first time. In the beginning of the 1990-s, after the collapse of the USSR, the organization looses its greatest financial injection, and for the sake of survival moves to alternative financing methods, including the distribution of narcotics.2 In the mid 1990-s, under pressure from fierce offensives of the Turkish Army, they were periodically retreating to inaccessible areas of the Southern Mountains; from where they would launch guerilla assaults on the Turkish Army, causing it considerable losses. By putting pressure on the International Community, the Turkish authorities have succeeded in adding the PKK on the international terror list. That kind of stalemate, which also diminishes the security and soverenity on the Turkish side, and causes considerable economic losses, while at the same time prevents the Kurdish side from gaining important military and political victories, was the basis for imminent negotiations and peace talks by which, with help from western imperialists both sides involved in the conflict reached important political achievements. All that, of course, in the name of economic “stability” of the region, and the American hegemony in the Middle East, at the expense of the peoples of Iraq and Syria. “The dialogue between Turkey and the PKK, then the agreement would be good for Turkey and would make it stronger. All we ask for is real democracy in Turkey. I am more of a Turk than the Turkish leaders! … It is not possible for us to be communists. Why the Soviet Union collapsed and the United States did not? Because in communism the government is everything but a human being is nothing. USA is development. “- March 1998. Further indications of willingness of Öcalan to renounce revolutionary activity we notice in his statement that he could not cooperate with the DHKP-C (the Turkish revolutionary organization)6 because they are “responsible for several murders of prominent businessman”, thereby showing his readiness to condemn the attacks on big capital owners. The dialogue which Öcalan referred to, went on hold, since he was only a few months later denied hospitality by the Syrian government, and after a temporary stay in Moscow and Athens, got arrested in Nairobi in a joint operation by the secret services of Turkey, Israel and the US, and was delivered to Ankara .7 Turkey seems to have won a victory, holding a trump card which would facilitate future negotiations needed. Öcalan was initially sentenced to death for betrayal, but his sentence was, as expected, renamed to life imprisonment. Öcalan’s analysis of the collapse of “real socialism” is reduced to the already well-known liberal ideas of the idealists that the Soviet bloc collapsed because of “totalitarianism”, and so the historical and materialist discourse of that development is absent. For him, socialism and the workers’ struggle is of secondary importance in relation to questions of religious and ethnic identity and democratic freedoms, and he believes that recognizing the democratic rights of all these different identities would lead to a new “democratic civilization”. According to him, the twentieth century was marked by “the disappearance of the material basis of class division,” because of “technological progress”, but the possibility of a society without class divisions remains unfeasible because “the state controls the social structure”.10 Any discussion on the capital is, of course, absent. It remains a mystery how Öcalan’s “pluralistic democratic structure” solves the class issue, if not striving towards the elimination of capitalist relations of production, but we will not pursue that any further, since we suspect a different pragmatic motive behind the transfiguration of Öcalan and the PKK, and we attribute the theoretical ambiguities and contradictions to the lack of dialectical materialism, as well as the fruitless attempt to transfer the “inevitable” opportunistic and juggling practice to paper or a new ideological framework. In his defense, Ocalan often repeated that the world has changed, but we know that for the proletariat, the dominant role of capitalist class society has not undergone a change. In war or in peace, the proletariat is obliged to be able to discern the reality of class society from fantasy, so the idealistic vision of Öcalan and Bookchin about the alleged overcoming of political categories such as nation, state, and class antagonisms, we see as ignorance or betrayal of the proletariat. In either case they serve the reaction, because the truth remains that all these categories are very problematic, real, tangible and alive for the proletarian class, and the only way to overcome those is precisely the class struggle. Soon after, at the eighth Congress of the PKK, held on 16 April 2002, the “democratic transformation” was voted, which meant that the PKK rejected the violent means to achieve the “liberation”, demanding political rights of Kurds in Turkey. 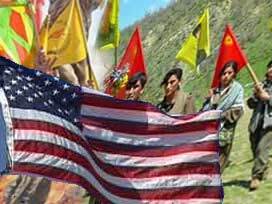 Since that Congress, the PKK has been transformed by creating a new political organization, “Freedom and Democracy Congress of Kurdistan” (KADEK), whose task was to fight exclusively by democratic means. It was also decided that the Armed Forces (HPG), the military wing of the PKK, will not be dismantled yet. Over time, the KADEK turned into more moderate “Kurdistan National Congress” (Kongra-Gel), so as to be allowed to take part in talks with the Turkish authorities and to facilitate the participation in the parliamentary arena. It is also the main body of “Democratic Federalism” and, in essence, the proto-state of Kurdish people under the direction of the PKK, and gathers many other Kurdish forces that recognize the supreme authority of the PKK. From Öcalan’s prison “enlightenment” and “democratic transformation” of the organization, a smaller part of the armed forces of the PKK remained in Turkey as a trump for negotiations with the government, but it’s bulk moves to Iraq where, due to the massive support, it installs itself as an important factor in creating a political atmosphere and contributes to political developments. Using the general chaos, the Iraqi authorities lifted the aviation, and engaged in the conflict, which concerned the Americans who resolved to end the inter- Kurdish conflict once and for all, before the Iraqi government managed to regain sovereignty over its northern province. 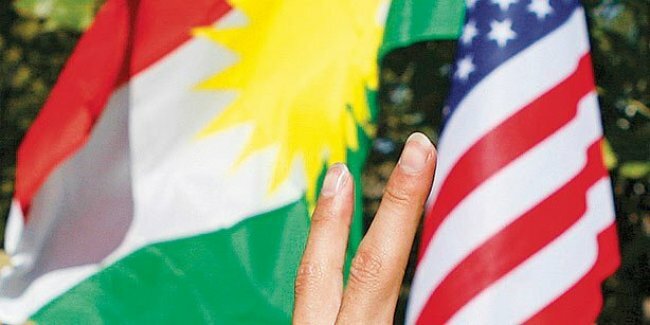 The ingenious US plan was put to work in 1998, by offering the two leaders (Barzani and Talabani) eleven million dollars in bribes to stop the conflict and sign a peace agreement.19 Under the agreement, the warring parties were committed to power sharing, as well as not to allow the return of the Iraqi army to Kurdistan, the United States commited to protect the Kurds from any possible future aggression by Saddam Hussein, and the Kurdistan’s air space was declared the “non-flying zone”.20 Such “independence” of Iraqi Kurdistan meant the exemption from sanctions imposed on Iraq in 1992, which are responsible for the deaths of half a million Iraqi civilians21 , thus the standard of living in the northern province has greatly improved, and a large number of foreign companies rushed to oil-rich province, to grab their part of the pie. The US military Special Forces have been given the task of organizing and training Kurdish fighters called the “Peshmerge”, who in 2003, during the US invasion of Iraq, took part in the fighting against the Iraqi regime on the side of the imperialists.22 What we find most interesting, is the fact that the PKK armed forces and their leadership got the green light from the new KDP-PUK government to remain in Iraqi Kurdistan, where they are still mostly stationed, and it is more than obvious that decisions of this caliber aren’t taken without consultations with the United States.23 It is more than a solid proof that the imperialists did not see the danger to their economic interests and investments from the new, reformed PKK. The invasion of Iraq in 2003 was code-named “Operation Iraqi Liberation” abbreviated OIL (oil). In very short time 148,000 US troops, 70,000 Kurdish Peshmergas, 45,000 British, 2,000 Australian, 1,300 Spanish and 194 Polish soldiers overran Iraqi troops and so crowned the ten years of imposed sanctions with the complete military collapse of the Iraqi government.24 In contrast to Kurdistan, where the imperialists were welcomed as liberators, the people of Iraq treated the invasion as an occupation which they continued to resist even after the overthrow of the Baathist regime. Shiite militias in the south of the country during the first two years of occupation intensively attacked the British and American troops, until the peace talks in 2004, which were put into service by the new regime dominated by Shiite and Kurdish politicians. In Sunni areas of the province of Anbar, the resistance has not faded, and with more or less success has continued ever since. The remnants of the Baathist regime, Islamists and tribal militia, offered fierce resistance to coalition allies, and expanded the military operations against the newly formed neo-colonial regime in Baghdad and the new Iraqi army. Full destruction of cities such as Fallujah and Ramadi in 2003 and 2004, and a continuation of the genocidal policy of the new Iraqi authorities in 2007 and 2010, had not achieves the desired effect. The siege and indiscriminate bombing of Sunni cities led to massive civilian casualties, but also further radicalized the local population, as we have already written. 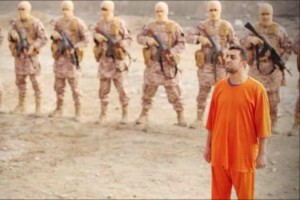 Thus, contrary to the advertising campaign of the mainstream media, an organization such as ISIS has not suddenly sprung out of the nowhere, but is the result of a decade of struggle which the oppressed and abandoned Iraqi population waged against the imperialist, colonialist and racist oppression of the empire and its subjects. The Islamists did not have to sell their doctrine to be accepted but only prove effective in the fight against the empire. Let’s see how the PKK organizes in this bastion of imperialism. The PKK continued engagement in the political scene of the region through the newly established organization in Turkey – HDP37 , Iraq – Gorran38 , in Syria – YPD and its armed wing YPG39 . In Turkey, the peace process is coming to an end, and the remaining soldiers of the PKK, were commanded by Öcalan to relocate to Iraqi Kurdistan where the entire military force of the PKK is now placed.40) After the complete disarmament of the PKK, the military units leaving Turkish territory, and legal political activity conducted through the HDP, what remains is to determine the details around the federal status of Turkish Kurdistan, a new electoral law and the future release of Ocalan from prison. On the political scene of Iraqi Kurdistan, the PKK has grown into one of the three key political players, so the parliamentary results of the political movement “Gorran” are expected soon, as it was announced41 , while the military forces of the PKK actively participate in combat operations against Isis, side by side with the international coalition and the Peshmergas. In Syria, the PKK operates through the PYD, and it’s armed wing the YPG, which during the first days of the Syrian crisis, occupied predominantly Kurdish areas in the north of Syria and by now largely self-administer the entire Kurdish North. 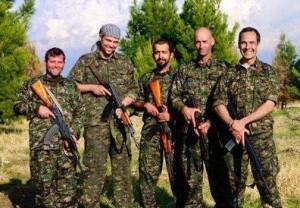 It is absurd, that inspite it all, the PKK enjoys the support of both liberal and “radical” left of the First World, and, as expected, the sympathy in liberal circles in the West, where more and more voice their support of “decriminalization” of the organization, and demand their removal from the EU and US terrorist list. Such a scenario that excluded Turkey from the “Islamic gas pipeline” was not approved by the Kurds who make up nine percent of the population of Syria – about 1.6 million people – because every land flow of natural gas to Turkey inevitably passes through Kurdish territory of Syria or Iraq. Upon realization of the plan of federalism, which includes the Syrian Kurds, the issue of a direct route for oil exports from Iraqi Kurdistan to the Mediterranean would be sorted out, as well as an absolute control over 70 percent of Syrian oil reserves.48 In general, each post-Assad scenario that envisages the release of the gas pipeline to Turkey, relies on the peace and stability in Kurdistan, and the reformed PKK as a guarantor of security of imperialist interests. The safety factor definitely accelerated the Kurdish-Turkish peace process and successfully brought it to an end. 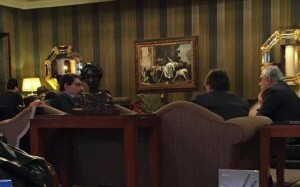 In spring 2012, the President of Iraqi Kurdistan Massoud Barzani organized a meeting of all Kurdish organizations from Syria in order to form a single organization “Kurdish National Council” to assume the role of administering conquered areas in Syria, as well as the establishment of units “Popular Defence Forces’ military wing organization. 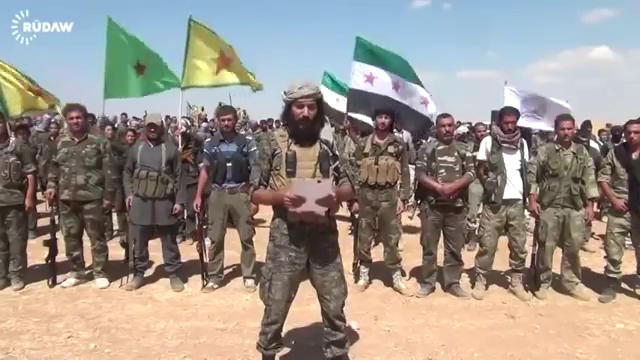 PYD, as a branch of the PKK, accepted the invitation, and joined the “Kurdish National Council,” which declared it’s main aim was to fight against the Assad regime.52 Following the takeover of the city of Kobane after the withdrawal of the Syrian army, the flags of the PKK and of Iraqi Kurdistan were hanged at the municipal building. Asked about it by journalists, the PYD spokesman stated: “The PKK is not able to administer the western Kurdistan on it’s own. We need the unity of all organizations. 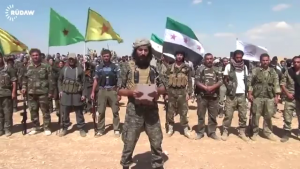 ”53 Shortly afterwards, a statement was issued by the PYD to the Kurdish population of Rojava, which issued a ban on leaving the province, and threatened those who want to leave their villages by seizure of assets54 , so as to preserve the Kurdish region in Syria of the potential demographic change. This was followed by another shocking statement of the PYD leader Salih Muslim for TV station “Selek“, where he said: “One day, those Arabs who have immigrated to the Kurdish region will have to be driven out”55 , referring to the Syrians who for decades inhabited those areas, in their own country. What began as a rebellion of the Sunnis in Iraq has turned into a successful march against the neo-colonial regime in Baghdad, the Kurdish collaborators in Iraq and Syria, and less successful conflict with national authorities in Damascus. Intoxicated by continuous successes in the territory of the size of Western Europe, which certainly would not be achieved without the support of the locals, ISIS fighters tactlessly , but more or less successfully engaged on several fronts at once, untill the inclusion of the international coalition led by the United States in the conflict. The attack on the Kurdish town of Kobane was the “straw that broke the camel’s back”, just as was the armed threat to Iraqi Kurdistan, and under the pretext of “human rights, freedom and democracy” as always, the imperialists started off the military campaign in the service of preserving their own interests. ISIS attacks are, of course, directed mainly towards the oil-rich areas, and by 2012 the PYD controled about 60 percent of Syria’s oil facilities, which were continuously delivered to the Iraqi Kurdistan56 , where they found its way to Western markets, as we have already shown. Further earthquakes continued to arrive. 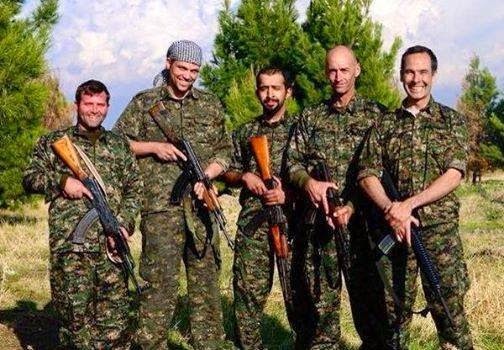 The following straight from the PKK officials, who have revealed that they were in direct contact with the Americans since 2012 via the US ambassador to Syria, Robert Ford, and special envoy for Syria Daniel Rubinstein, regarding the arms sent to YPG, and a possible coalition with the Syrian, pro-Western Opposition FSA65 . A few months later, Turkey and Kurdistan signed a contract on the construction of a joint gas pipeline as part of the “Southern Gas Corridor”, from Irbil in Kurdistan to the Turkish port of Ceyhan68 , the United States opened a new military base in Kurdistan, near Irbil69 , PYD explained to Fransois Oland: “We are fighting against those who attacked Charlie Hebdo. Our resistance is your resistance. PYD and YPG are your friends. ”70 PYD agreed an alliance with the FSA (Free Syrian Army) and clashed with the Syrian army in Aleppo and Hasaka71, Salih Muslim thanks the imperialists for the help72 , yet the loud and vigorous support and contribution from the World Left no one seems to remember, even though it has played a significant role in securing unimpeded popular support for the neo-colonial project, because if we by some chance were to practice Marxism, write class analysis, organize debates, protests, pressure the imperialists, challenge its propaganda, and who knows what more radical and extreme, perhaps this imperialist plot would not have succeeded. How does Öcalan’s statement of 1998 differ from Salih Muslim’s a few months ago? For Öcalan the imperialists are “development”, and for Muslim “forces defending peace and democracy in the world”. Abandonment or misunderstanding of Marxism-Leninism by the leadership of the PKK, as well as by the Western Left, may lead to dangerous errors of opportunism, the alienation of the oppressed masses and open or tacit support to the geopolitical games imperialists conduct daily against the peoples of the Third World, paving the way for their own economic interests. Taking to such lines tremendously damages the reputation of the left among the masses of the underdeveloped countries, it does not offer an anti-imperialist alternative to the oppressed and openly pushes away revolutionary subjects with the anti-imperialist sentiments into the hands of the Islamists, which explains their growth and strengthening. If we accept that the US occupation of Iraq (as well as any occupation) is illegitimate and guided by clear interest in profit and capital accumulation in the centers of power, then we accept that the installed regimes in Baghdad and Irbil, which enable the realization of such, unhindered enrichment of the foreign centers of power on the expense of the Iraqi people, are also illegitimate, and that the resistance of the marginalized, alienated, impoverished, militarily and politically oppressed Sunni population is quite legitimate. Things are simple as far as the struggle against imperialism is concerned, what weakens them abroad weakens them at home, so any attack on neo-colonial regimes in Baghdad and Irbil should be supported and benefits from the crisis effects that such blows inflict on imperialism should be taken advantage of. However, the problem of inertia arises as the proletariat of the developed countries, although it is not participating in the exploitation of the proletariat of the Third World, directly benefits from such exploitation74 , and the alliance with the bourgeoisie in the core countries seems unavoidable, and opportunism “inevitable”. An even greater problem is that such a proletariat, and such Left, of the imperialist core, dominates and dictates the ideological trends on which the left of the periphery gathers and wholeheartedly follows (at their own expense). This opportunism slowly but surely penetrates into our world view, and gives it a certain liberal ideological framework that favors anti-authoritarinism over anti-imperialism. But to us, the proletariat of the Third World, it is the imperialism, not the reactionary aspect in social and cultural issues, that should be the primary enemy, because our lived experience of oppression means that, unlike the Western Left, we can not afford the luxury of not being clear on the nature of the”Empire“. And therefore we can not afford to, such as opportunists, provide tacit support for imperialism and attribute a progressive role to the murederers of mankind. That, very racist liberal framework adopted by the Left, which equates imperialism with reactionary cultural and social practices of the Islamists, really helps to build popular support for neo-colonialist project, and we want to make it clear that the alleged superiority of Western civilization and its values, is simply based on constructed lies and myths. The contradictory nature of European self-understanding and self-perception is completely excluded from it’s practice, and we know how many people in the world see five centuries of European hegemony as a continuous hell. For such Left, fifty million African slaves (half of which ended at the bottom of the Atlantic)75 , the African holocaust committed against the local population in European colonies where only in Congo ten million people were killed76 , not to mention the rest of Africa, Asia and Australia, the longest genocide in the history of the world, over the American Indians that took the lives of forty million people in four centuries77 , four million children who die of hunger each year78 , a number of victims of imperialist aggression against Iraq, Somalia , Libya, Mali, Serbia, El Salvador, Vietnam, etc., the systematic impoverishment of the Third World for the sake of enriching the First, the international banking system, a brutal economic exploitation of three-quarters of the planet, etc., etc. – is equalized with the reactionary social practice of women oppression by ISIS, and “uncivilized”executions of a dozen of imperialist journalists. Ask yourself which cause such Left serves. Does this mean that we openly support the ISIS? For those who are less familiar with the fundamentals of Marxism-Leninism, let us explain. There is no unconditional support for the movements and organizations that do not seek the abolition of capitalist relations of production, private ownership of the means of production and strive not for socialism. But Marxism is dealing with the objective antagonisms, and the situation as it is and not as we would like it to be, based on imaginary scenarios. Accordingly, we support the progressive functioning of certain movements directed towards the destruction of the old, still existing relations and withdraw it where the operation is aimed at combating more progressive relations. Those unfamiliar with dialectical materialism will ask how the same thing is and is not, and how can we simultaneously support and condemn the same movement. To explain by an example: the communists always support the “democratic revolutions”, as they seek to destroy the reactionary feudal relations, but at the same time criticize them as they seek to establish a new, exploitative, capitalist relations. In the case of Sunni, Baath/ISIS resistance, we support the people’s struggle against imperialism, even though we internally criticize reactionary ideology and social appearance of Muslim fundamentalism, yet we do not privilege it in relation to a key and principal contradiction, responsible for “hell on earth”. We consider that any attack on the collaborators of imperialism is an attack on imperialism itself and serves its weakening and undermining, as it contributes significantly to the loss of funding of the centers of power, and thus a weaker standard of the proletariat of the empire, as well as its re-engagement as a revolutionary subject. 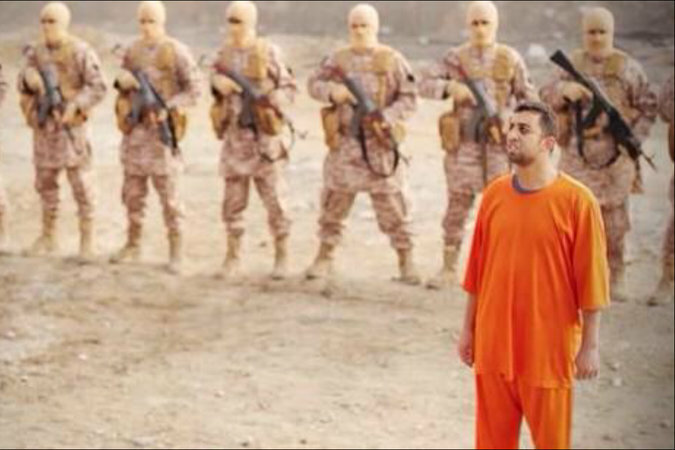 We’ll make a brief analogy of Sunni insurgency in Iraq and the many uprisings of slaves in the West. During the 400 years of slavery in the West, contrary to popular opinion, numerous uprisings of slaves were recorded. Led by such names as Gaspar Janga, a Baptist priest Samuel Sharp, Nani Marun, Nat Turner, etc., many of which were under the influence of Christian teaching, to which they, due to material circumstances, offered their own reinterpretation. The case of mentioned Nat Turner sparked revolt and anger amongst white population of America’s 19th century, even in regions where the idea of ​​slavery did not have huge support. Nat Turner killed the landlord of the plantation where he worked, and later with a group of slaves he set free, murdered the landlords of all of the surrounding plantations, including their families, wives, children, and animals that he found on the farm. He spared only a few homes because he believed that poor whites did not have much better treatment than blacks.8182 Turner also believed that the revolutionary violence served to awaken the attitudes of white people about the reality of the inherent brutality of slavery, a concept similar to the 20th century philosopher Franz Fanon about the idea of ​​”violence as being purgatory.”83 He was responsible for the murder of sixty whites, then caught by national organized militia and hanged. If we support Turner’s revolt, and we, of course, won’t hesitate to, does this mean that we support the Christian fundamentalism, which inspired him ? Or are we willing to accept such ideas as a product of Turner’s material circumstances? Instead of denying support to the attacks on imperialists and their puppets, due to the extremist religious cultural practices of the rebels, as do the liberal left folks, we understand the suffering of the oppressed peoples caused by the imperialists and their local allies, and aspirations of the people of the Third World to free themselves from the yoke of imperialism. As Marxists, we believe that it’s not the idea, but the material circumstances that shape the reality, we understand that in accordance with such realities oppressed people of Iraq seek anti-imperialist interpretation of existing, dominant and offered ideas. Accordingly, Islamic fundamentalism seems like a logical and realistic option. But such an approach at the same time carries a large dose of self-criticism, because we are aware that our militant disengagement and lack of clear attitude, action and cooperation, leaves room for less progressive ideology and movements to organize such a struggle. What does it mean on the paper? In the clashes of Baath/ISIS team against the puppet Iraqi government, the Kurdish collaborators and the international coalition, we support the Baath/ISIS coalition and applaud at every endangering the safety of imperialist interests. In the clashes between ISIS against the Syrian authorities (Iraqi Baath is not participating in this conflict) and Hezbollah, we support the Syrian government and Hezbollah. Why? We have shown that the Syrian government refuses to be a puppet of the West, insisting on the promotion of local interests at the expense of foreign powers and foreign companies. It leads a state that is based on anti-colonialism, anti-imperialism, Arab nationalism and the (non-Marxist) socialism, it’s disobedient to the Empire, and does not put the interests of foreign investors to make profits ahead of economic development of Syria. 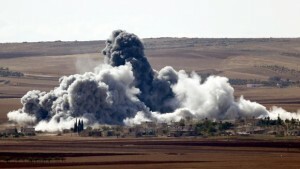 The State Department regrets that “ideological reasons” prevent Assad to move towards “liberalization” of the economy84 , while the American “Library of Congress” disapproves of the “socialist structure,” of the Syrian government and economy.85 Any attack on Syrian state and government, currently serves only the interests of the imperialists. Comrade Stalin added: “… The proletariat does not have to support every national movement, everywhere and always, in each individual case. Support must be given to such national movements which seek to undermine, overthrow imperialism, and not to strengthen and preserve it. Lenin was right in saying that the national movement of the oppressed countries should be appraised not from the point of view of formal democracy, but from the point of view of the actual results, as shown by the general balance sheet of the struggle against imperialism, that is to say, “not in isolation, but on a world scale. Therefore, the liberal ideological frame must be removed, not only from our ranks, but also detected and removed from our heads. This model is based on supremacist positions of colonial consciousness and survives to a greater extent as on the imperialist Right, also on the liberal left in the power centers and the semiperiphery. Through revolutionary violence, colonized recreate themselves, and our task is to start, see through and end that process.